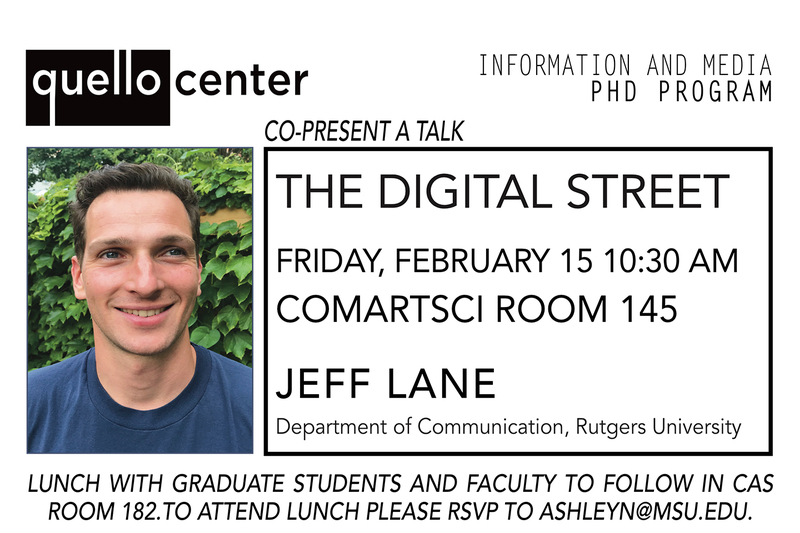 Jeffrey Lane will discuss his new book The Digital Street (Oxford University Press), which addresses the role of communication and technology in the transformation of an urban neighborhood. Based on five years of ethnographic observations, Lane illustrates the online and offline experiences of black teenagers in the shadow of the Harlem Children’s Zone and sweeping gentrification when social media came to permeate all facets of life. The book shows how street life in Harlem plays out on and across the physical street and the digital street among youth, neighborhood adults, and the authorities to argue that social media use shapes neighborhood violence and its countervailing forces. The talk will explore the book’s findings and research method of digital urban ethnography. 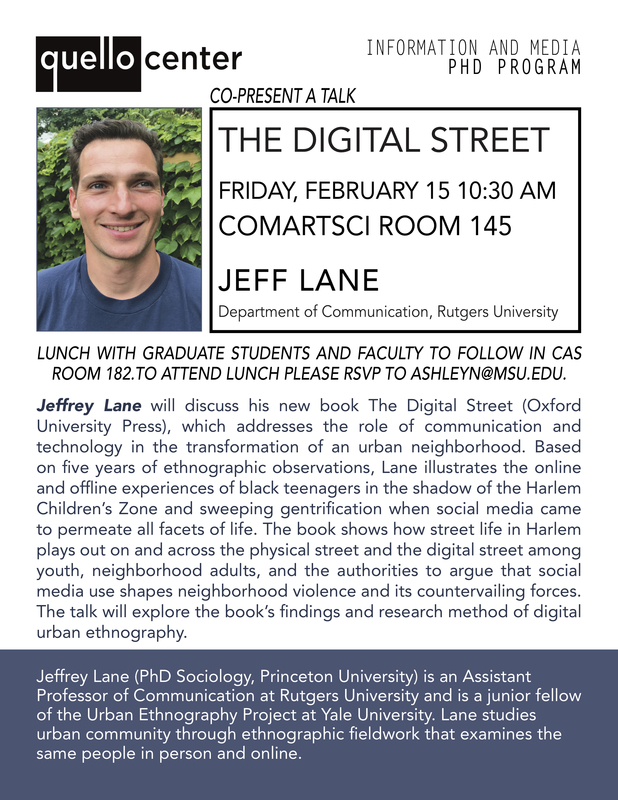 Jeffrey Lane (PhD Sociology, Princeton University) is an Assistant Professor of Communication at Rutgers University and is a junior fellow of the Urban Ethnography Project at Yale University. Lane studies urban community through ethnographic fieldwork that examines the same people in person and online.